Witness a Sacred Journey 10,000 Years in the Making, the best Cabo’s Night Show, The Wirikuta. A Perfect Night Out for Couples, Families & Groups. Experience hypnotic and ancestral dance of the Huichol people as it’s blended with the latest in contemporary & cultural choreography, breathtaking acrobatic displays & the latest in 3D mapping technology. Witness Cabo’s most exciting experience. Let yourself be transported through all your senses to the magical land of Wirikuta. Take part in this sacred and extraordinary journey to the birthplace of the sun and the whole world. Feel your heart beat to the rhythm of the drums as your mind is blown away by the spectacular sights before you. You will feel part of the ancient Huicholes in a revered spiritual journey, through hypnotic dance and anxious music. Huichol Village Experience Cabo Night Show Premiere. 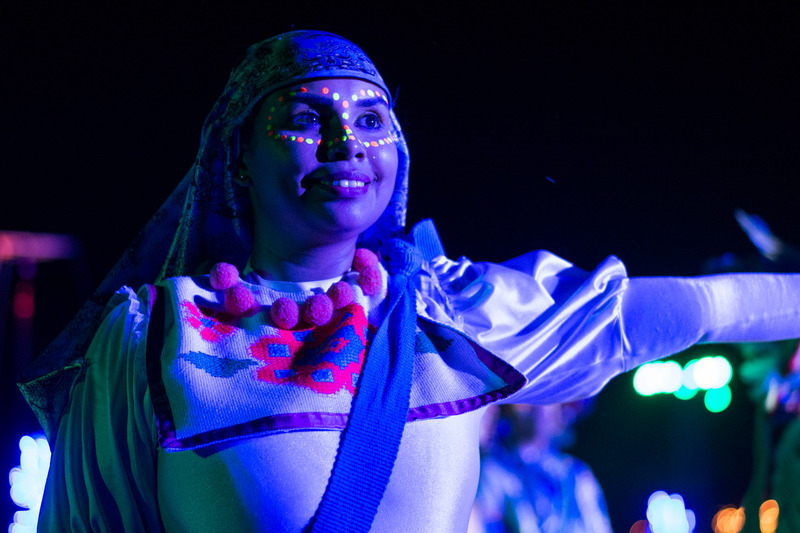 Enjoy a mystical night show, unique in the world, located in a huge cactus garden, next to the board and where you will meet the only freshwater estuary in Los Cabos. The Wirikuta Night Show sits a-top three majestic, natural stone pyramids. Kids 7-12 years 25% Off. Wear comfortable clothing and shoes (avoid heels). No changes are permitted. Activities may be modified due to weather conditions. We reserve the right to change schedules without prior notice. No refunds can be made. Cancellation Policy: You may cancel your tour 72 hours in advance of the activity date for a refund, after this date any cancellation will be subject to 100% non-refundable fee. For cancellations: Please call Eko Park Los Cabos / Wild Canyon. 624-144-4433 or write to [email protected] for questions or to cancel the tour to avoid full charges. You must obtain a cancellation number. Eko Park Los Cabos / Wild Canyon won’t refund if for some reason in the site you decide not to do the activity. More information in our Terms and Conditions.